yakata no chigo 屋形の稚児（やかたのちご）"divine children parade"
Main festival at the shrine Fujimori jinja 藤森神社.
. . . CLICK here for Photos of the shrine ! Sawara (Sagara) is the main deity of the shrine. People in the armour of old parade through the streets, many on horseback. 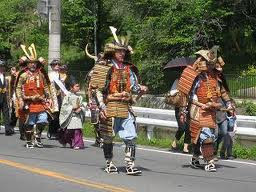 On the night before the festival many homes show their armour or clad the young boys in armour and visit neighbours. The most favorable boy can sit on the first horse in the parade the next day, followed by 7 or 8 others on foot. 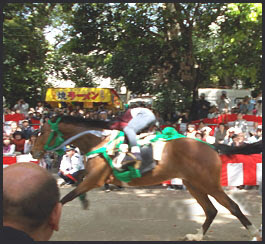 Artistic feats are also performed on horseback. In the afternoon, three mikoshi palanquins are paraded with the horse parade through the town. 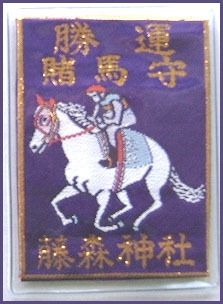 A talisman with a horse rider is very popular at this shrine, since during the festival a ceremonial race is held here 駈馬神事. 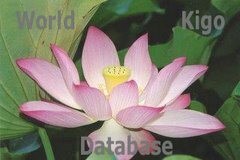 Now it is on the Boy's day, with the iris (shobu 菖蒲) as a pun for victory(shobu 勝負). There are many votive tablets in the shrine. ***** . Prince Sawara Shinno (早良親王 , Sawara-shinnō) .